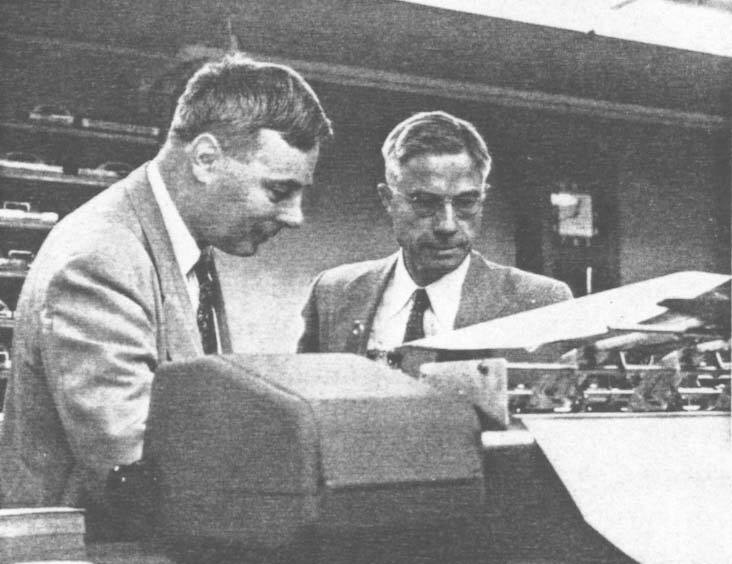 Professors Llewellen Hilleth Thomas and Wallace J. Eckert looking over a machine calculation in Watson Lab at Columbia University in the 1940s or 50s. In the background on the left you can see a stack of control panels which were used to program IBM equipment before the stored-program computer days (CLICK HERE for another view of the Watson Lab "program library"). Right rear: the IBM master clock. L.H. Thomas (1903-1992, PhD Cambridge University 1927) is known by physicists for the Thomas Precession (of the electron) and the Thomas-Fermi-Dirac Model (the statistical model of the atom). One of the world's foremost applied mathematicians, he was brought to Watson Lab in 1945 from Ohio State University as a "technician" since he did not seem to fit into any existing job category, and was a appointed a full professor of Physics at Columbia in 1946. That same year Thomas, Eckert, and Herb Grosch were the first to teach for-credit computer courses at Columbia -- or anywhere else! (Thomas taught Physics 228, Numerical Solution of Differential Equations.) Thomas's influence at Watson Lab -- in physics, mathematics, and machine design -- was so great that eventually Eckert thought of the perfect job title for him on the organization chart: "L.H. Thomas" . While at Watson Lab he invented core memory (in 1946) two years before An Wang did (but it was Wang's version that took off) , and is also credited with NORC's 3-address instruction format . He remained at Columbia until 1968, when he moved on to North Carolina State University. The Llewellyn Hilleth Thomas Papers, Manuscript Collection 210, Special Collections Department, North Carolina State University Libraries. 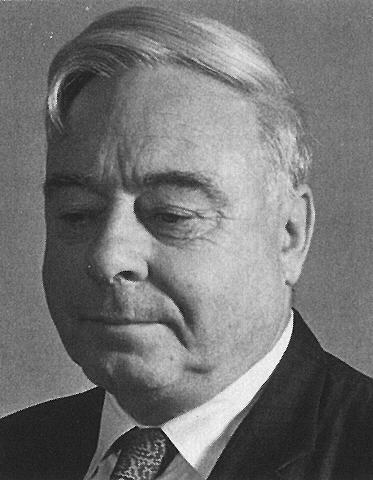 Oral history interview with Llewellyn Hilleth Thomas, 1962 May 10, AIP Niels Bohr Library. How to shoot down a satellite (Time magazine, May 3, 1954).